I will answer these questions in a roundabout way. Recently, I read and reviewed La Chanson de Roland (The Song of Roland). I took a French course last semester in which each student had to give a three-day presentation on a French text of their choice. Because of my love for Medieval French literature (with a particular emphasis on Medieval heroism and sanctity), I chose to present La Chanson de Roland, an 11th century epic poem set during the First Crusade. For those of you who do not know the story, Roland is the hero of the poem and a knight in the army of the Frankish Emperor Charlemagne. In the poem, Roland’s godfather Ganelon betrays Charlemagne and makes an alliance with the Saracen King Marsile. Basically, Marsile had sent messengers to Charlemagne claiming that he wanted to convert to Christianity. However, Marsile, who had lost most of Spain to Charles, wanted to win back his lands through deceit. Charles believed and accepted Marsile’s offer. Roland nominated Ganelon to be Charlemagne’s messenger. In fear and anger, Ganelon swore to destroy Roland for sending his godfather on such a dangerous mission. Arriving at Marsile’s kingdom, Ganelon came up with a plan to defeat Roland and end the war between the two kings. He formed an alliance with the enemy. At the start of the poem, the anonymous narrator claims that the Saracens are pagans who worship Mohammed and Apollo. The poem is replete with racism and religious intolerance. Christians are holy while Muslims are demonic. Christians/Franks are worshipers of the true God while Muslims/ Saracens are worshipers of statues and presented more like brutes than humans. Religious warfare is anathema to our modern sensibilities; yet, to appreciate the poem and to understand its message, it is necessary to read the poem in the context of crusade ideology. Leading class discussions was an enlightening experience. The other students struggled not only to get past the religious intolerance but to understand Roland’s pride. In La Chanson de Roland, Roland’s pride costs Charlemagne his whole rearguard. However, Roland is still considered the hero of the poem. Such pride is condemned by modern Christianity, but Roland is not a modern Christian. Reading classics that contain racism/sexism/religious intolerance are important because of their historical value. I have read many historical books on the crusades. Yet, it is often difficult to learn about cultural values and sensibilities through history books. Why is Roland a hero in the poem? In the 21st century, we would not consider Roland a hero. We wouldn’t justify warfare between Christians and Muslims. We would condemn misunderstandings about the Muslim faith. But in the 11th century when the First Crusade was being fought, the French had a different set of criteria for defining a hero. Roland is prideful, but in that era, pride in warfare was not condemned by the Church. This is is evident by reading another poem of the time, Beowulf. I personally approach old literature like archaeological artifacts. Medieval literature (poems, plays, etc) reveals much about the values of the time period. These values are embodied in the heroes that are venerated. It is commonly accepted by scholars that La Chanson de Roland was written as crusade propaganda. Therefore, if Roland is the hero, it follows that he embodies values of the 11th century. The poem may be filled with offensive material, but it is valuable. Like archaeological artifacts, stories like La Chanson de Roland reveal not only differences between the 11th and 21st centuries but also the similarities. Maybe Western countries no longer fight wars under the banner of Christianity, but does it thereby follow that Western powers do not have similar motives to the Medieval Franks for fighting wars. I doubt it. Charlemagne claimed that he wanted to spread Christianity throughout the world, but he was a king and also wanted to conquer the world. What about the “War on Terror”? Is the only goal to fight terrorism? What do we gain by fighting these wars? Controversial works like La Chanson de Roland help us explore these questions. I read A Tale of Two Cities for the read-a-long hosted by Laura@ Reading in Bed. “Recalled to Life.” That is Jarvis Lorry’s response to his colleague Jerry Cruncher of Tellson’s Bank and Company. Confused, Jerry sets off to deliver the strange message. Shortly afterward, Mr. Lorry meets a young woman named Lucie Manette at the Royal George Hotel. She has been summoned to Saint Antoine, Paris by two French shopkeepers. Her father Doctor Manette, formerly a French prisoner, has been found alive, sheltered in the Defarge’s wine shop. It is 1775. Five years later in London, a young Frenchman named Charles Darnay is tried for treason. He has been accused of spying on the English and relaying information back to King Louis XVI. Lucie Manette is in the courtroom, and Sydney Carton makes note of her reactions; she is very much troubled by the plight of the prisoner. In the course of the trial, Sydney passes a note to the defense attorney and his colleague Mr. Stryver. After much deliberation, the jury determines that there is not enough proof that Charles Darnay has been spying on the English, and he is exonerated of all charges. But revolution is in the air. In less than a decade, aristocratic heads will roll. A Tale of Two Cities is more than a story about two cities. It is also a story about two families. These families may both be French, but they belong to very different social strata. Aristocrats have been living comfortably for centuries at the expense of the peasants, but mobs are popping up all over France that aim to flip the social hierarchy. Led by women, these mobs go through the streets of France, arresting and beheading any and all aristocrats they find. Under the watch of the revolutionary women, no aristocrat, no matter his/her innocence, can escape from Lady Guillotine. Although this was a re-read for me, I was still surprised by the density of this short novel. The first five chapters were the hardest to read; the characters were not fully fleshed out and the use of too many pronouns made it very hard to understand who was speaking. However, it became easier as I went along. What a difference three decades can make! Early this year I reviewed The Old Curiosity Shop (1841). 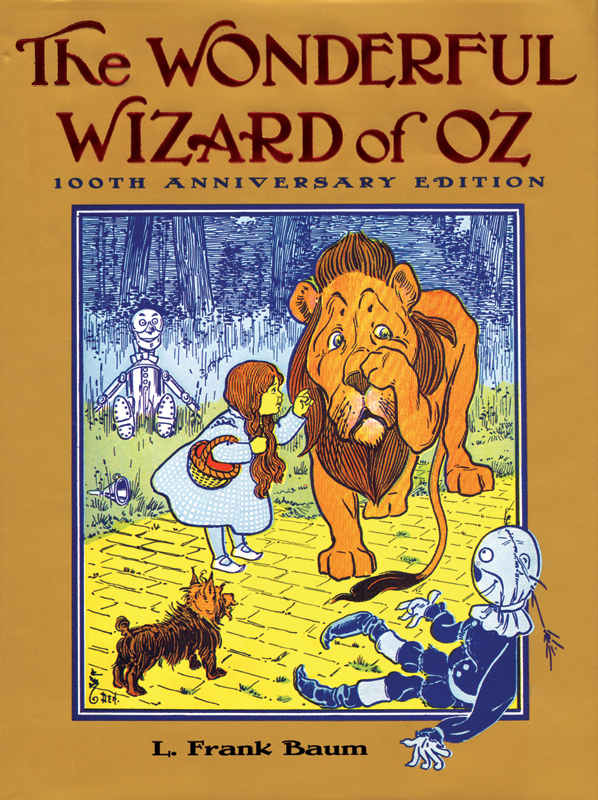 It was one of Dickens’ earliest works, and it left much to be desired; the characters were more like caricatures and the plot was virtually non-existent. 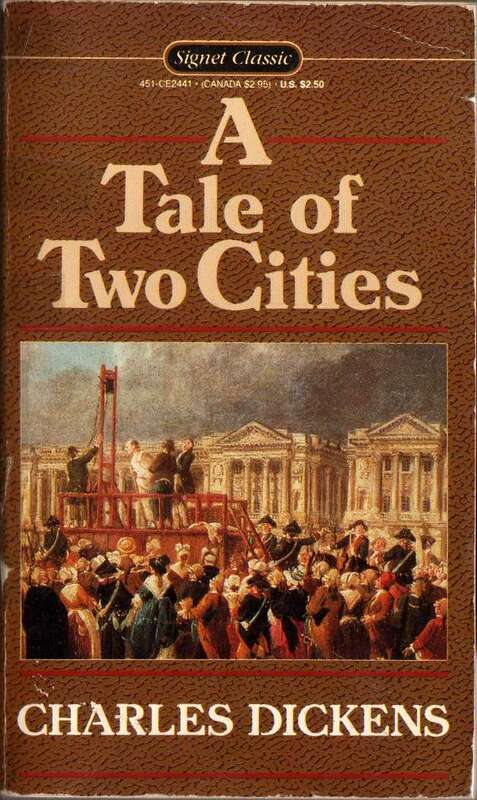 But A Tale of Two Cities, written 28 years later, had a very well-developed plot, and the characters were a lot more complex and interesting than in The Old Curiosity Shop. The revolutionary women were not portrayed as purely evil. Dickens described their state of mind in such detail that the women were arguably the most interesting characters in the story. The only flat character was Lucie Manette; she was nothing more than a sweet, perfect angel. Her character irritated me because I wanted to understand her true feelings. I wanted her to be powerful and intelligent like Madame Defarge or even Miss Pross (Lucie’s servant). Still, A Tale of Two Cities was a breath of fresh air in comparison to The Old Curiosity Shop. The story was considerably shorter, but no part of the plot was compromised. The start of the novel made a lot of sense after I finished the book. I especially loved how each character mentioned was connected in some important way to the other characters and to the plot. I definitely consider A Tale of Two Cities a classic.